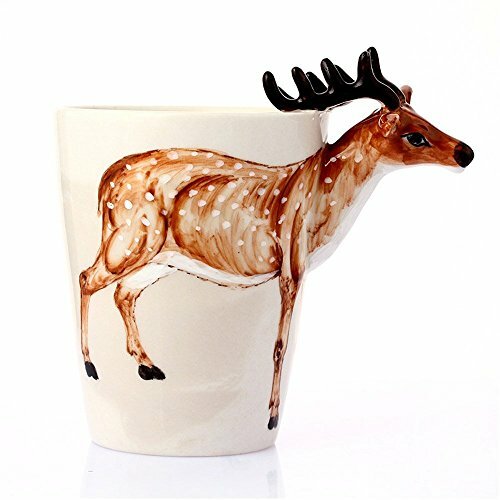 3D Coffee Mug, Handmade Hand Painted Creative Art Mug Ceramic Milk Cups is currently selling at $12.49, which is its normal price. It has a lowest price of $12.49 and is selling within its usual range. Price volatility is 0.15% (meaning it does not change often), so you might have to wait a while for the price to drop. Until then this is a recommended 'ok deal'. The current deal is also the best price on this item over the last month. 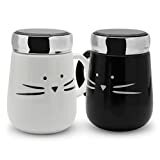 Compare the current price, savings (in dollars & percent) and Buy Ratings for the top Novelty Mugs that are closely related to 3D Coffee Mug, Handmade Hand Painted Creative Art Mug Ceramic Milk Cups. Here is how 3D Coffee Mug, Handmade Hand Painted Creative Art Mug Ceramic Milk Cups compares with other leading Novelty Mugs. Designed exclusively by HOMEE, these hand-painted ceramic cups, adorned with animals from the plains and jungles of Africa, can liven up your morning. The cup's three-dimensional animal figure helps you embrace nature, whether sitting in the office or at the kitchen table. Along with your morning coffee or tea, take a moment to enjoy the serenity and grace of the natural world. 100% hand-painted, these unique designs require a complex and lengthy process to create Size:H(4.7") X L(5.9") X W(4.3"); Capacity: 12.5oz. NOTE: size and capacity are pure manual measurement, there will be a slight deviationAmazon is responsible for FBA items, so please don't hesitate to contact Amazon customer service for quicker resolution upon receipt of unexpected broken items. FeaturesSIZE - H(4.7") X L(5.9") X W(4.3"); Capacity: 12.5ozUNIQUE - 100% handmade, 100% hand-painted. Each of them is unique.HIGH QUALITY - Underglaze color, safe for children, will never fade.HANDMADE - Made of ceramic with a tactile 3D design.Can be used in microwave oven and dishwasher.